A wonderful 3 bed, 3 bath property located in Goodyear is now on the market! 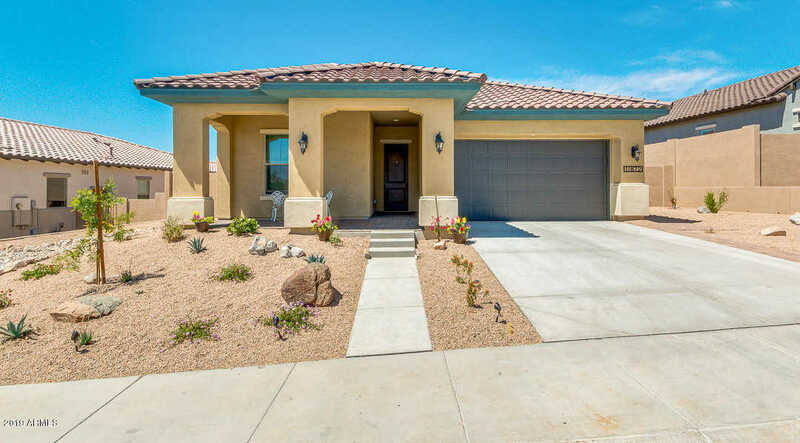 Featuring desert landscaping and a 2 car garage, this home is a real stunner! The interior boasts formal dining and living areas and a fabulous kitchen comprised of ample cabinetry with granite countertops, a walk-in pantry, matching stainless steel appliances including a wall oven, and a charming island complete with a breakfast bar. Inside the beautiful master bedroom you will find a private bath with his and her sinks, as well as a spacious walk-in closet. The expansive backyard, with its covered patio, extended paver, and artificial grass area, is the perfect place for kicking back and relaxing after a hard day’s work! Your new home is waiting for you, call now! Directions: Head southwest on Estrella Pkwy, Turn right onto San Miguel, Turn left onto Westar Dr, Turn left onto Wind Drift Dr, Turn left onto 183rd Dr. Property is located on the left. Approximate size: 7487.00 sq. ft. Please, send me more information on this property: MLS# 5910489 – $312,000 – 11872 S 183rd Drive, Goodyear, AZ 85338. I would like to schedule a showing appointment for this property: MLS# 5910489 – $312,000 – 11872 S 183rd Drive, Goodyear, AZ 85338.